As the world doesn’t stop the development, so we try to keep up with the standards so successfully replaced our old sound system for the next generation, which perhaps the most respected in the world. This is “L-Acoustics K1 System”. 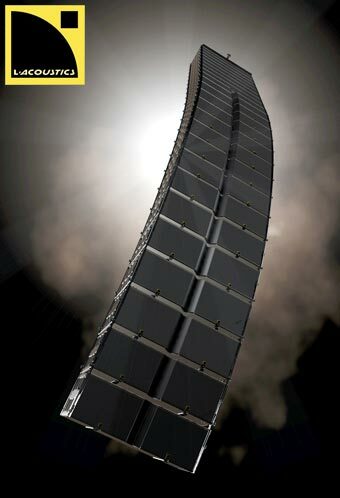 Inheriting 15 years of Wavefront Sculpture Technology experience and the latest L-ACOUSTICS® research, the K1 line source delivers an unprecedented level of performance for very large concert stadium applications and outdoor festival productions. Packaged as a complete system for the touring market, K1 combines an advanced three-way, quad-amplified enclosure featuring a new K transducer arrangement, with boosted resources on the HF section. The K1 enclosure is typically combined with a dedicated LF extension (K1-SB) to offer an unprecedented level of directivity control and throw at low/sub frequencies. K1 sets a new benchmark of coherence and tonal balance control over distance. K1 has been designed to seamlessly combine with KUDO® for complementary fills, delays and SB28 subwoofers, all driven by the LA-RAK universal electronic and signal distribution platform.